Once the pride of the Maratha Empire, Pune exists as an intriguing blend of the past and the present. The city reveled in its image as Chhatrapati Shivaji’s legacy before globalization hit on its door in the 1990s. Since then, the erstwhile capital of the Peshwas has transformed into a smart, vibrant metropolis that thrives with a modern vibe. However, Pune managed to preserve its bygone-era charm through its historical edifices and monuments. Exploring the city is a pleasant affair in itself because of this contrasting aspect. A walk through the streets of Pune will reveal to you a wealth of historic structures that offer a glimpse into the city’s rich past. Dotted with ancient temples, palaces, forts, and wadas, Pune is no less than a heritage beauty. In this blog, we bring you a list of the most celebrated historical places in Pune that are definitely worth a visit. The palaces of Pune are fine examples of exquisite architecture. At the same time, they echo the grandeur and royal culture the city once boasted of. 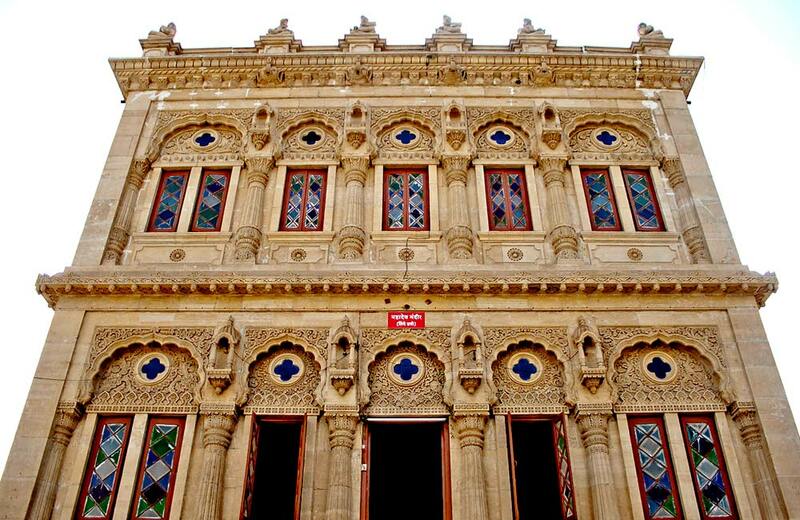 Take a look at the top palaces of Pune that are history personified. 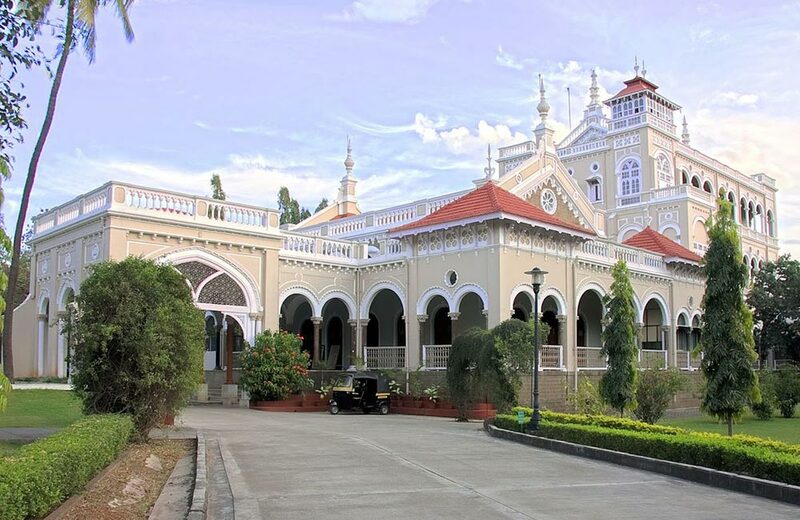 If you ask any resident of this city to list the historical places in Pune district, Aga Khan Palace is sure to appear among the top names, and for a good reason. The palace is a testament to glorious architecture and will offer you a stunning visual treat. Built in the 19th century, the spectacular palace stands on sprawling lawns and boasts of five halls. Huge hallways and Italian arches feature throughout the structure. 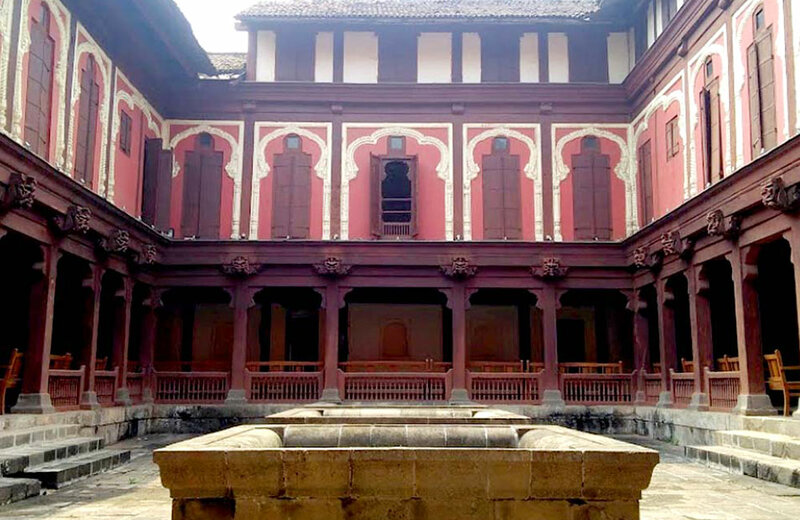 Apart from its structural beauty, there’s one more reason that firmly establishes this palace’s position among the historical places of Pune. The palace was used as a prison to lock up Mahatma Gandhi and other patriotic leaders during the country’s freedom struggle. Today, it serves as the headquarters of the Gandhi National Memorial Society. Shaniwar Wada is a prominent name among the heritage sites in Pune. 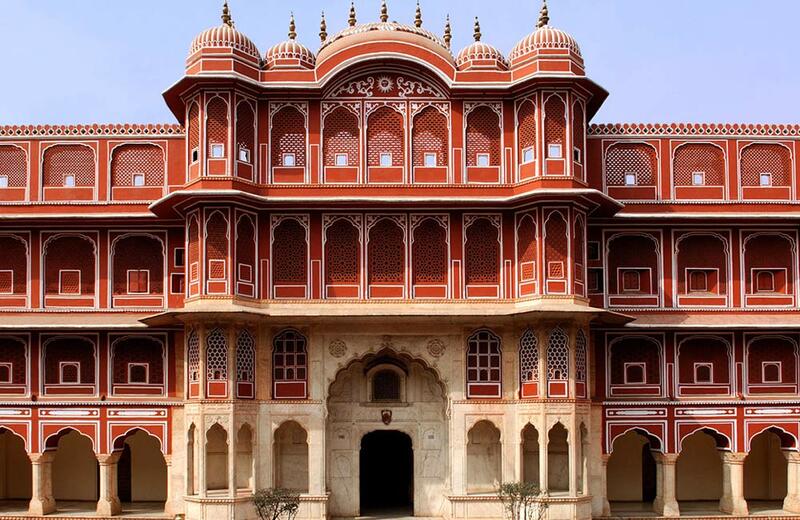 The palace dates back to 1732 and features a blend of Mughal and Maratha architectural styles. There are no less than five impressive gates that open up to the palace. Adorned with ornamental teak pillars, impeccably carved teak arches, polished marble floors, and glass chandeliers, the magnificent complex of Shaniwar Wada stands as an iconic structure that was once an integral part of the Maratha Empire. 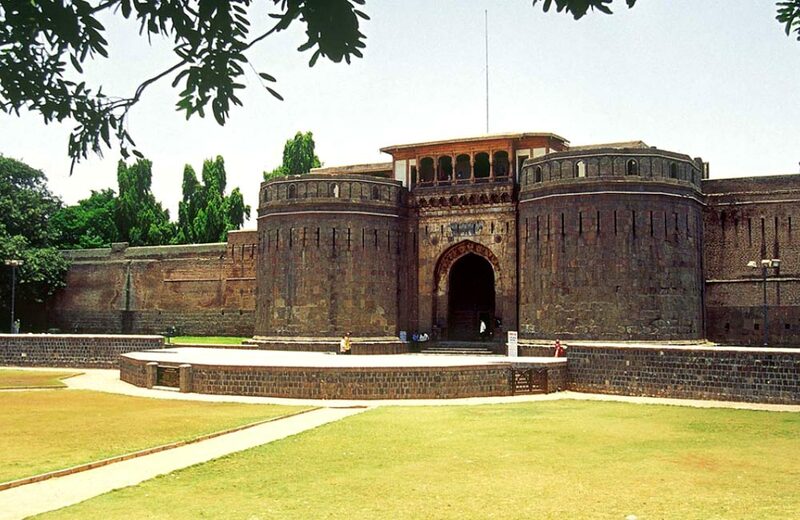 The city of Pune boasts of a number of forts that once stood as guards of the Maratha Empire. Check out some of the forts near Pune that have left behind their marks in the pages of history. 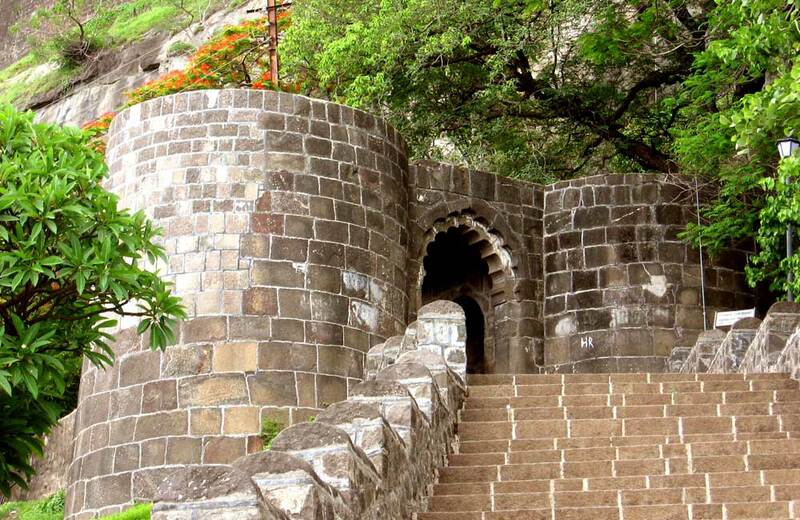 For a detailed list, check our blog on the top 15 forts in Pune that every history buff must visit. Sinhagad Fort, which means the Fort of the Lion, stands on a secluded cliff in the Sahyadri Mountains. With a history of 2000 years, it remained witness to many a bloody battle, including the Battle of Sinhagad that took place in 1670. Once you reach the fort, you will be able to enjoy a breath-taking view of the surrounding areas. There are two entrances to the fort and a few temples within it. The fort is located at a distance of 30 km from the main city, so you can include this on your list of things to do in Pune on a two-day trip. Though you can reach the fort through a motorable road, trekking to the destination is the adventurous way to explore this historical site. Lohagad Fort is located at a distance of 64 km from Pune. 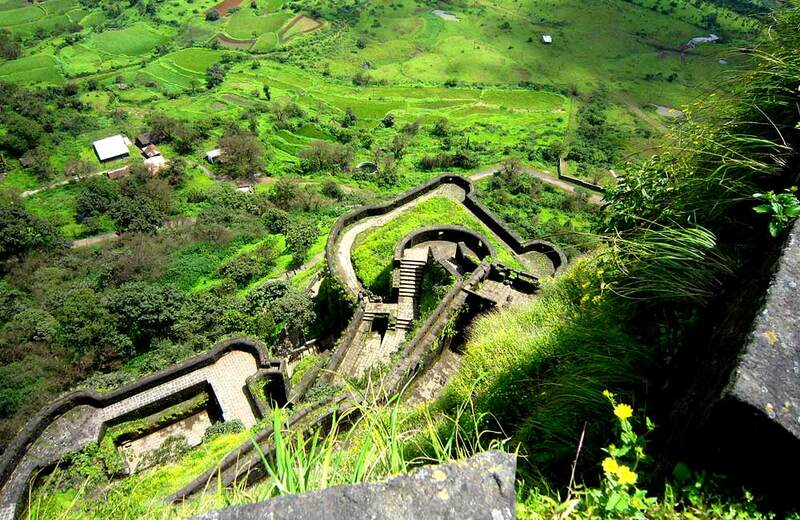 Also known as the Iron Fort, Lohagad boasts of splendid natural beauty as well as historical significance. During the monsoon season, the fort turns into a scenic destination as its top becomes covered with moss and clouds. There are four main doors through which you can enter the fort. You can also explore the ancient dargah that is located within the fort complex. 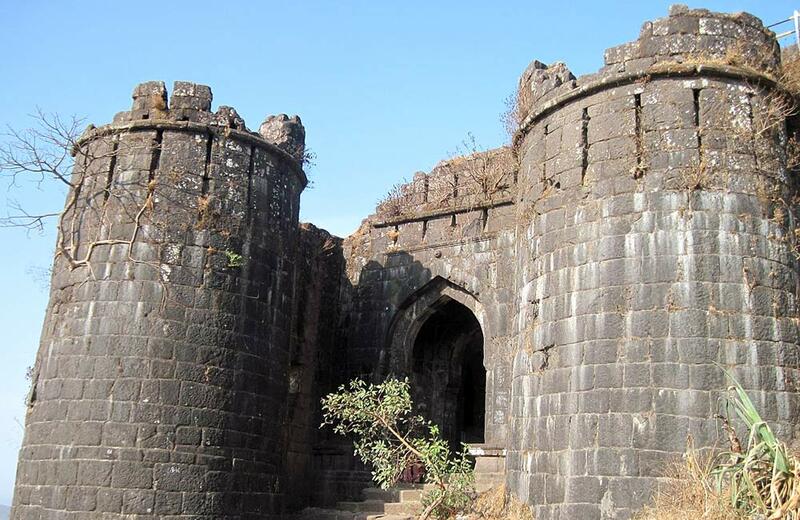 Less than 100 km from the city stands the grand old Shivneri Fort, another must-visit edifice near Pune. Built in the 17th century, this hillfort assumes significance as it was the place where the Maratha warrior king Chhatrapati Shivaji Maharaj was born. The fort boasts of a triangular shape and seven spiral gates. Statues of young Shivaji and his mother Jijabai adorn the interiors and you can also spot a lovely pond known as Badami Talav at the center of the fort. When you are inside the fort, do not miss out on taking a look at the two perennial water springs, Gangas and Yamuna, which are a delight to watch. The wadas of Pune are courtyard-style residential complexes or mansions that are a living testimony to the city’s rich heritage and culture. Many of these places were built by the Peshwas and date back to the 18th and 19th centuries. 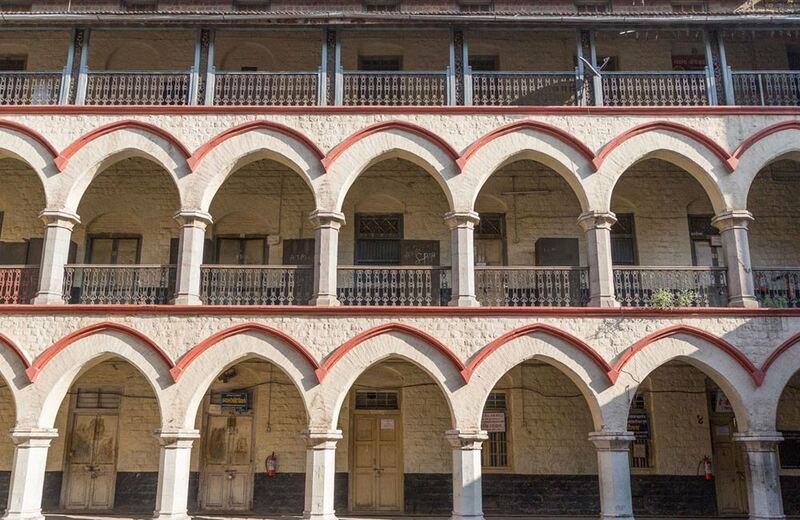 Here are a few historical wadas that deserve to be on your list of places to visit in Pune. Imagine a luxurious mansion that spreads over an area of 20,000 sq. ft. right in the heart of the city. This is Vishrambaug Wada for you! Built in the year 1807, Vishrambaug Wada was the residence of Peshwa Bajirao II. In its heydays, the property was no less than a palace in terms of grandeur and beauty. Exceptional woodwork adorns the balcony and the entrance of the wada, which lends the residential complex a distinct look and beauty. This three-storied structure is one of the most fascinating historical places that you will come across in Pune. 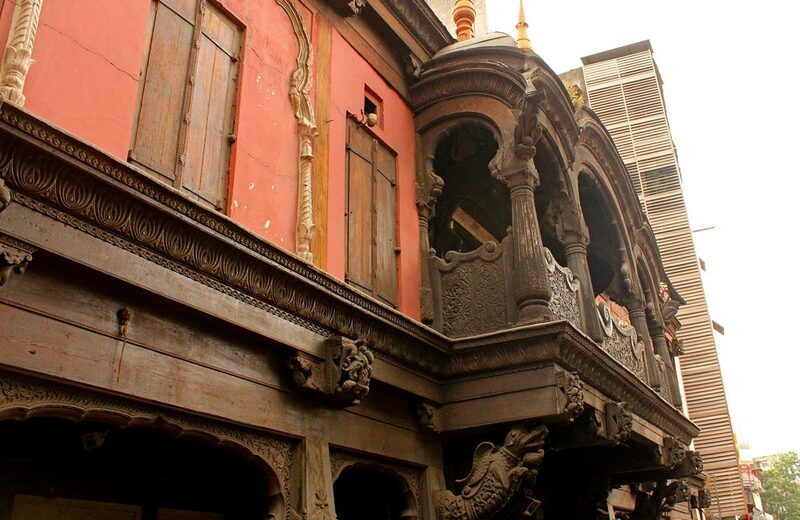 One of the oldest heritage structures of Pune, Nana Wada was built in 1780. The wada was mainly designed out of timber and it features beautiful arches, railings, and ceilings made of wood. An interesting feature of the property is the Diwankhana or the hall of audience, which used to be an integral part of most structures built during the times of the Peshwas. Till this day, the hall of audience in the Nana Wada remains intact. Do not miss out on exploring it when you visit this historical place. Bhide Wada is not just a part of history, it helped create history! It assumes much significance as it served as the location of the first school for girls in the whole country. Way back in 1848, Savitribai Phule and her husband Jyotirao Phule took the revolutionary step of setting up a school for educating girls in this wada. Despite severe opposition from various sides, they managed to continue with their efforts to educate women. The property may not be in the best of shape today, but a visit is still worth your time. Pune is known for its ancient temples that display rich architectural beauty and excellent craftsmanship. We bring to you some of the enticing historical temples of Pune that will leave you mesmerized. 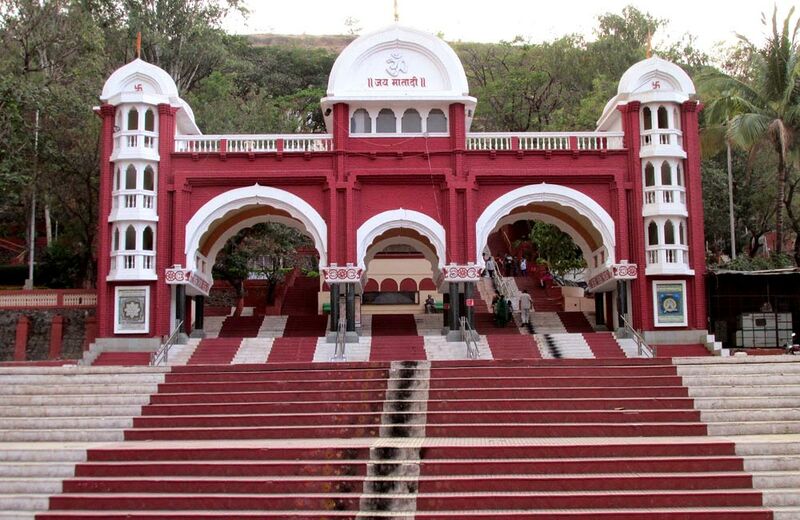 Chatushrungi Mata Temple is dedicated to Goddess Chatushrungi, the presiding deity of Pune. Chattushringi means a mountain with four peaks. Situated on a hill slope, it is an ancient temple that is believed to have been constructed during the time of Shivaji’s rule. You will need to climb more than 100 steps to reach the temple. However, the beauty of the temple will make your efforts totally worth it. Dating back to more than a hundred and twenty-five years, Dagduseth Halwai Ganapati Temple is one of the most visited temples in the entire region. 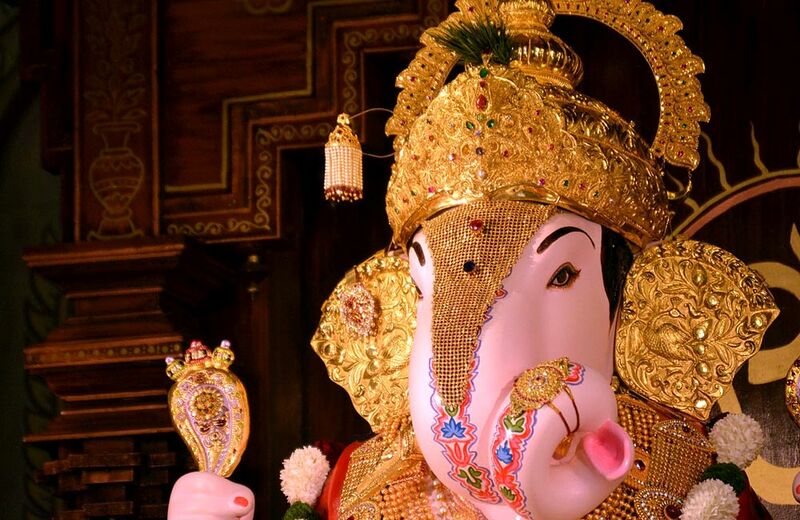 As the name indicates, the temple is dedicated to the much-loved deity of Maharashtra, Lord Ganapati or Ganesha. The shrine boasts of an enticing construction and can be seen from a distance. An interesting feature of the temple is that all the proceedings that take place inside the temple can be seen from outside. This is something that you are not likely to see in the other temples in Pune or anywhere else in the country. 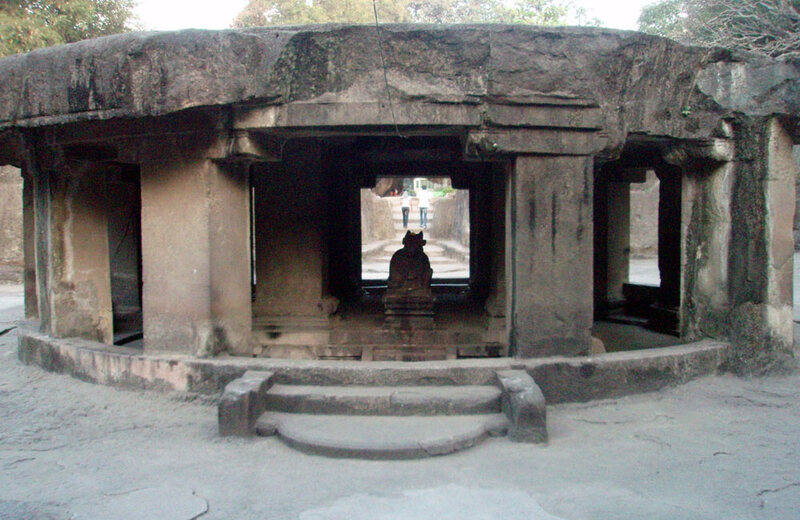 The ancient Pataleshwar Cave Temple was constructed in the 8th century. This temple cut out of a single basalt rock is dedicated to Lord Shiva. You can find a Linga placed in the inner sanctum of the temple. The temple is in an incomplete state and no one knows the reason behind this. However, that hasn’t stopped devotees from flocking to the temple to pay their respect to Lord Shiva. If you appreciate ancient architecture, do plan a visit to this temple in Pune. Pune has a rich variety of historical places that are not limited to temples, forts, palaces, and wadas only. Some of the other historical attractions of Pune are listed below. Also, while you are in the city, do take some time to taste some of the best and authentic flavors served here, local as well as global. Check out our blog on the iconic restaurants in Pune for a handy list. Lal Mahal is one of the landmark monuments of Pune, constructed by Shahaji Bhosale, the father of Shivaji, for his wife and son. The original structure was built in 1630, but after its destruction, it was rebuilt in 1988. The place holds much historical significance as Shivaji had spent almost a decade of his childhood here. Made of red bricks, this beautiful edifice exudes a matchless charm that has turned it into a tourist hotspot in Pune. Shinde Chhatri is a memorial built to honor the Maratha leader Mahadji Shinde. It is an 18th-century memorial that counts amongst the oldest monuments of the city. The major attractions of this monument are the elaborate carvings that adorn its walls and the majestic Iron Gate. The memorial is a fine example of Anglo-Rajasthani architecture. A Shiva temple also exists within the premises of the memorial. In Marathi language, Chhatri means umbrella. As such, the etiquette at this place demands that you keep your umbrella closed when inside the memorial premises to show your respect for the warrior leader, even if it is raining. 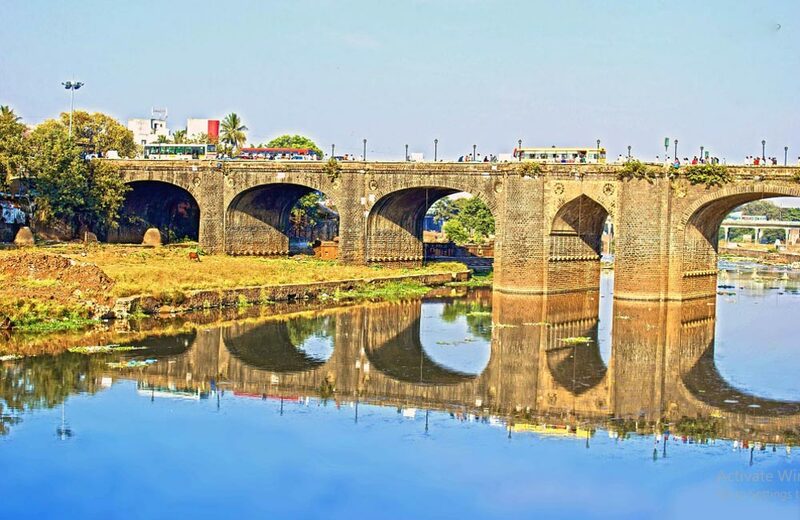 Shivaji Bridge takes pride in being one of the historic bridges of the city. Also known as Lloyd Bridge, the structure dates back to early 20th century. The main attraction of the bridge is the application of various architectural styles in its construction, which lends it a distinct look. The presence of arched pillars and an enticing floral pattern fashioned in colonial Mughal style further enhances the beauty of the bridge. If you love diving into the realms of history, Pune won’t disappoint you. Next time when you are here, check into one of the hotels of Pune and start your historical sojourn in a spirited manner. That’s not all. The city also has other interesting places – from water parks and amusement parks to picnic spots and waterfalls – to keep you happy and content. After a long day of sightseeing and heritage walking, you can check into one of the best pubs and nightclubs in Pune to relax your tired muscles. So, are you all set to experience the majestic city that Pune is?